Thread: Ps3 slim 160gb giveaway!!! I recently got a PS3 and now find myself never using it. Seeing as I've been a member here at Tweleve for over a year now, I figured I'd give back to the community. If you find yourself wondering, "How is the winner of said giveaway win? ", then let me explain. Every entrant will be entered into a text file, which will then be entered into a random name generator. It will then pick the winner, and I will post the winner for all to see! 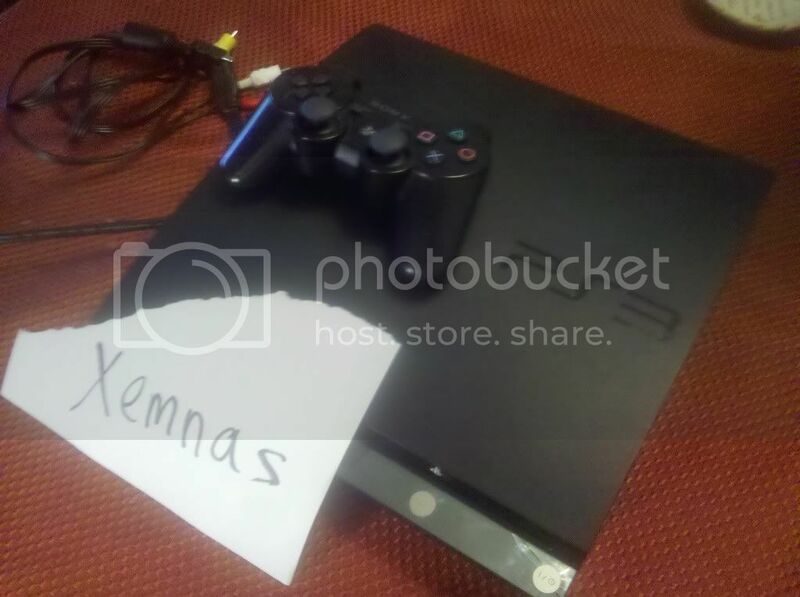 Below is the pictures of the PS3 slim 160 GB with proof. I have included a picture of my username as to show that this isn't some gimmick contest. How does the shipping and handling tie into for the winner? I personally will be paying for the shipping and handling, and only for people within the U.S. and Canada. Outside there and you will have to pay. How long will it take for the winner to receive the prize? It really does depend, but generally takes 5 - 8 days after being sent out. Is there a second or first place prize? No, there is only one prize. Why don't you just put it on Ebay or something? Well, I actually have already put it there once, but it didn't sell. So, I'm giving back to the forum! Yes, you can only enter 10 times. I want to keep this fair for all the contestants, so a maximum 10 entries per account. Enter at the link above!